This week we interviewed Nuno Fernandes, Dean of Católica Lisbon business school, to discuss a fresh view on how to keep education a key sector in society, in the middle of all the technological disruption. Nuno also shares his view on other topics such as: Lisbon as top european city to study and live; the globalisation of business schools, as seen by the trends in international students; and the shift in power from lecturers, to students, as the ones who have the most up-to-date knowledge. 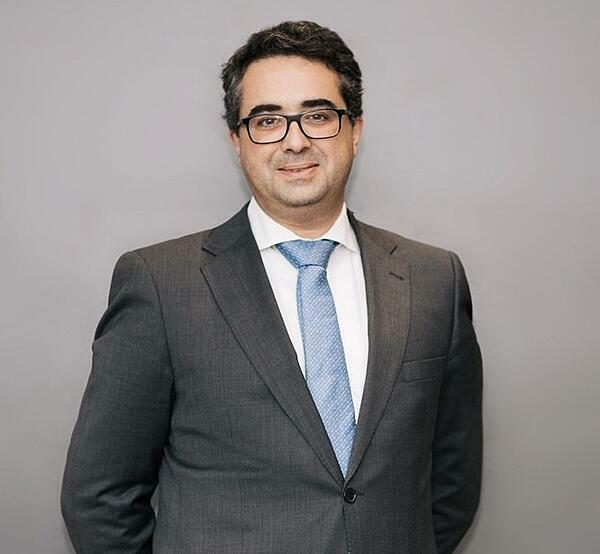 After finishing is undergraduate degree in economics, from Católica, and a PhD in finance, at IESE business school in Barcelona, Nuno started teaching in different schools and over the last 10 years he was a professor of finance at IMD Lausanne, in Switzerland. He has been a member of several organisations such as advisory committee of the World Economic Forum and the Portuguese Diaspora Council being recently appointment the Chairman of the Board of auditors of the Portuguese Central Bank. Nuno is a strong believer in the power of academic research and he has published in the leading academic journals worldwide, like the Journal of Financial Economics, The Review of Financial Studies, Journal of International Business Studies. As you were appointed dean of Católica Lisbon about one year ago, what is your vision for Católica Lisbon? So I'll start by telling you a bit about the institution and I think it's an institution that is extremely well positioned into the future because it has always adapted and rejuvenated itself. So I've been away for 10 years and when I returned I found a school with many differences but also many similarities towards the past, but it's a different school now. Over 50 percent of our students are international and so we have executive programs and master programs that are well positioned in the international rankings and we have now basically we're playing now in the international game, which is very different from playing only domestically. 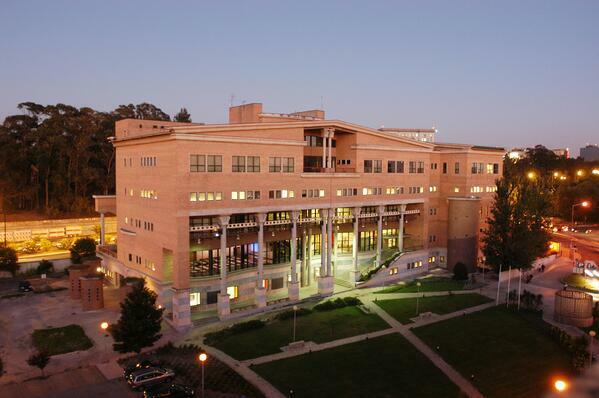 So my vision for the school is to position Católica Lisbon as one of the top 10 business schools in Europe. And also to prepare our graduates for a digital world, for careers of the future because the future of work as we know is changing and all the technology, artificial intelligence and other technological advances are impacting the way organisations work. Right now we need to think about how to prepare digital natives for jobs of the future. And also to think about the future of the educational sector because it is, as many other industries, one of the sectors that is affected by digital disruption. There are many technologies going around and so we have to rethink how the higher education system can still create value for the graduates in the future. Are you already thinking of curriculum to address technological disruption in the education sector or is it a work in progress? Both. So we're doing it right now in some of the curriculum changes that we're introducing. For instance, in the master in finance program, we've introduced this year a new course, Python for Finance; we have a coding elective available for all the masters; and we have coding clubs. We also have some pilot projects, different learning methodologies including blended learning and other methodologies. Along with these projects, we are also working on things for the future. So we have some short-term projects and some long-term projects. What are the main challenges you face in your role and how do you've overcome them? There are many challenges and the ultimate goal is to have a impact on businesses and students across all our programs. Here the important thing is the word impact: for some students it's about impact on their careers, but at some other level impact means impact on the performance of companies that work with us in the international executive education programs. To be able to be one of these top 10 European business schools, we must follow a no-compromise policy. We must be excellent at everything we do. Right now we're very good in many dimensions, but we can always do better. For instance, we must be excellent at teaching, we must have excellent research faculty and excellent programs overall with excellent connections to the business world. And we must also have a very strong quality of service. We are in a service industry, and so all the general services we provide must also be very good, whether it is for undergraduates, master or executive students. So one of the big things that I think will help us, and that's one of the challenges I have until the next year, is to engage our very extensive network of alumni. The reason for that is because in this building, we're only 120 individuals, faculty and staff, but we have a very wide network worldwide, which is basically ambassadors of our brand, which is 50,000 alumni of Católica Lisbon. The challenge is how to engage them with the school, bring them back. I think it's extremely powerful if we're able to create a strong bonding and this network effect. "To be able to be one of these top 10 European business schools, we must follow a no-compromise policy. We must be excellent at everything we do." What are the most rewarding parts in your role? The rewarding parts is that each day is different. I would start with that because it can start with the breakfast with MBA students that are eager to find new careers; can be a discussion with the dean of Faculty about promotion of a faculty member that has a stellar research track; discussing the marketing of our programs internationally; meeting students to hear their experiences; discussing how to position our programs and admissions for next year. Overall the main goal is to see how our teams are coming up with brilliant ideas to create a bigger impact on our academic community. That's kind of the beauty of the job. Exciting life! The results from Financial Times Global Masters in management 2018 where out early this week and Católica Lisbon improved eight spots since last year. What makes Católica Lisbon stand out from other European institutions? What we care about and the rankings actually reflect that is the outcome, and the outcome is measured by the impact we have on our students' careers. For instance, how well they are prepared for future jobs and career progression. The results these week of the Financial Times Global Master in Management rankings confirmed this because, we went up by eight spots relative to last year. It's an upward trajectory that is now going for Católica Lisbon. We are top 30 in the world and top 25 in Europe. I think there are many factors that contribute to this performance: the program curriculum itself that offers courses extremely well suited for leadership positions, embracing change. For instance, we have a new courses on digital information, social impact, fintech, impact investing or corporate social responsibility. The courses are also very applied, so there is no gap between curriculum and the outside world. So we integrate very well the outside world. We have lots of experiential learning opportunities where students get immersed into the business reality. Critical thinking and complexities is a fundamental feature of the business world we live in. So within the program we have complex business problems to be addressed in teams that joined different disciplines. So it's not just a single discipline. Overall in the business world, you have to think about different disciplines in an integrated fashion and so we provide lots of opportunities for integration. I think, also we must not forget we are in Lisbon. I think that's a differentiating factor because Lisbon is a very entrepreneurial city and entrepreneurial spirit. It's a city with a strong growing reputation and we see these in our master's students because they are particularly interested and they work towards it. They're very open to new experiences and during the program they're always willing to try out new ventures and always determined to succeed. Then there are a couple of other things that are outcome related that I think explained the results. One is the salaries, which is basically the ultimate outcome in terms of a number is the salaries of our graduates. In these last rankings it went up by 15 percent, which is the highest increase ever and this is in my opinion a recognition that our graduates are able to find good jobs and that employers worldwide value what we do here and what the degree means for them. The international profile of the school contributes immensely. We have progressed, during the last hearing, all the dimensions. First we have many more international students that now make up 76 percent of the population. We have also progressed a lot in the terms of our international advisory board, which is made up of CEOs of large multinational companies and now it's also 50 percent international, and we have a very strong international mobility both during the program and after the program: during the programs for exchanges, internships or study trips and after the program in terms of the students getting jobs in different countries. This is a reflection of the work that we do in our career and talent offices and ultimately our students can achieve international mobility. And finally our faculties: 43 percent of our faculty are international now and this puts us in a very positive position at the European level. "We have lots of experiential learning opportunities where students get immersed into the business reality." You worked abroad for many years. What do you think about Lisbon as a place to work and study? Lisbon is at the core of our school. It's actually in our name Católica Lisbon and we're very proud of it, and we want to leverage a lot the fact that we are in Lisbon. Lisbon is a wonderful city to live and study. It's a city with a great quality of life, very safe, has a great quality to price ratio and increasing international reputation. So I think when you combine a very high quality education with a wonderful city to live in, the Católica Lisbon value proposition is very difficult to beat. Regarding admissions, do you already have the final split of the number of international versus national students that were enrolling? Did it shift more towards international students? Yeah, it's getting more international. We're getting many more international application, so that's a growing segment. In terms of Portuguese applications. It's not growing dramatically because of demographics. We have an outstanding reputation in Portugal and we get a significant number of our applications here, but of course the demographics of the country basically say this is not a growth market. But we're growing a lot the number of international applications from across countries in Europe and also outside Europe and that the diversity of those countries is also increasing. So the new class that started last week is the most diverse class ever. They come from more than 30 countries and so we have lots of countries represented and it's very, very diverse. How do those countries get to know about Católica Lisbon as an opportunity to do their master's degree or executive education? We have targeted marketing efforts for different countries and in some of these countries we also have a very strong alumni network. And so I asked some of the students that came from Germany "how did you find out about Católica Lisbon?" and they answered that everybody in Germany knows Católica. We already have a strong network of people that came either through exchange programs or internships or spend the semester here and go back and they say it's a very high quality institution. One thing that helps a lot our international credibility are the accreditations. The three top accreditation agencies have accredited us as a top business school. That's a very good fact to show international clients that eventually don't know us, because it's a stamp of reputation that only one percent of the business schools worldwide have. That also assures candidates of the quality of our education. For 2019 I think it's going to be a very exciting year at the school and also in Lisbon. It's difficult to choose from many great opportunities ahead. However, for the next year and at the current moment of the school, I will prioritise external engagement. This means meeting with students, recruiters, CEOs who partner with us and different companies who partner with us either on the executive education side, the research or applied project centers or other projects. Also a strong alumni engagement relation. That's something I want to do. I'm very excited about our outreach and in particular talking to alumni and finding new exciting opportunities of collaboration with society at large. The goal is to bring the world into the curriculum of our programs and also to get the world to know about what we do inside Católica Lisbon. What do you think will be the key challenges in the near future for business education? I think the main challenges are really on the world of education, and the world that we live in and how to prepare graduates for new jobs and successful careers of the future. Beyond technical skills which will always be necessary, personal skills are going to become increasingly important. Sometimes these are called soft skills, although I prefer to call them "core skills" because I think they are really core skills. The second thing, I think it's key for the future of business education is to understand that knowledge nowadays is a commodity as opposed to 30 years ago. Now we can get knowledge and theories available for free online or on Youtube or Wikipedia. And this is challenging for professors because it used to be the case, many years ago, that the professor would have the monopoly of knowledge. He would know what are the relevant theories and books and have access to resources that students didn't have. Nowadays, the world is very different than actually students have access to more resources and typically are more skilled at getting data than the professors are. So this means students are much more demanding nowadays. They demand more from the faculty. And it's common that students use google or online videos to prepare before class. So this raises the bar and education has to upgrade itself and offer more than knowledge. I think we need to focus is since the amount of information out there is so large, one of the rules of business schools is the curation of knowledge, selecting the relevant parts and then application and integration across different areas. And this requires developing key skills like critical thinking, structural problem solving and people related skills. Do you predict that technologies that will have a big impact on society like A.I. will also have a big impact or a big benefit in higher education itself? Or will education always going to be a very human sector and will avoid most of those disruptions? I think technology will play a role in the future of the leading business schools and universities overall. And the way I like to think about this is why do we get 15 individuals inside the classroom and if we go back 30, 40, 50 years ago, the reason for that was so that these certain individuals with the access to knowledge that only one of them, the person in front of the room had, and that was the only way for us to get knowledge, was to listen to an expert telling us the knowledge. But nowadays it is different, right? That's the challenge that technology poses. So we have to rethink why do we have 50 people inside the classroom? It cannot be simply to have a faculty member reading a book or reading a book in a sophisticated way, which is going through a slide deck of powerpoints for an hour and a half. That's no longer going to be acceptable in the future, I believe. And my view is that if you have 50 people inside the classroom, the education has something to do about the interactions and the way these people interact, discussions, raising issues beyond the technical knowledge. Technical knowledge will always be required. That's a must, but we need to go beyond that. "My Job in Higher Ed" is a monthly series. Take a look at our other interviews.